The Great Firewall of China, also referred to as the Golden Shield, stops millions of people from accessing an open and free Internet. A number of top websites are blocked in China under the GFW, including Google, Facebook, YouTube, Twitter, Wikipedia and other popular sites. Because of this strong censorship and the laws in place, Internet users in China cannot access the same, unrestricted Internet that people outside the country can. People turn to tools like VPNs to bypass the restrictions and pervasive Internet censorship. Circumventing the Great Firewall with a VPN allows you to maintain your Internet freedom. 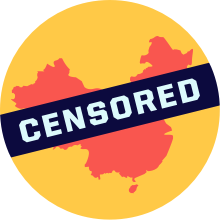 A VPN, like VyprVPN, is an effective way to bypass blocks imposed by the Chinese government so you can enjoy a truly open and unrestricted Internet without censorship or surveillance. VyprVPN's proprietary Chameleon technology works to defeat VPN blocking, so bypassing local blocks in China is easy. 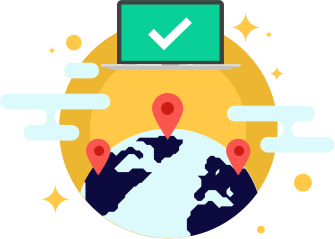 Simply connect to one of VyprVPN's over 700 servers and ensure your geo-location never impacts your Internet experience. Now is the time to download VyprVPN and circumvent the Great Firewall. Get VyprVPN now!